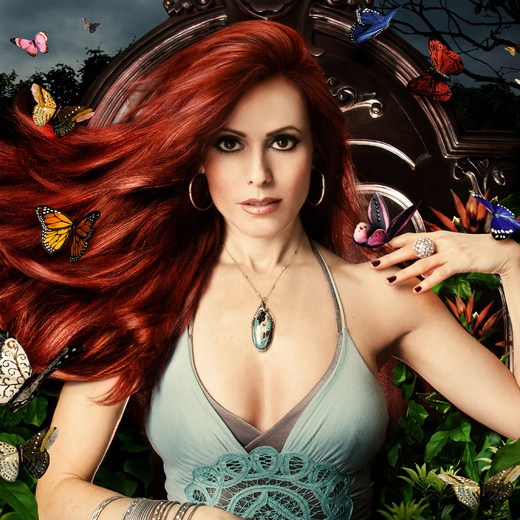 Bewitching vocal powerhouse & songwriter Victoria Faiella has traveled the world writing, recording & performing music with a noteworthy stint as background vocalist for Latin Superstar Enrique Iglesias. Her recently released CD "Wild Butterfly" elegantly intertwines string quartet arrangements with rock, world, alternative pop, soul & folk elements. The record includes a Middle Eastern styled reinvention of Black Sabbath's classic anti-war anthem "War Pigs" that some have hailed as "Brilliant", "Timely", "Epic" & "Ingenious!" Whether she’s lamenting the despairs of war or soulfully whispering over string ensemble and piano, Faiella’s beautiful and honest voice delivers equal intensity with a style and sound uniquely her own & equally as spellbinding.